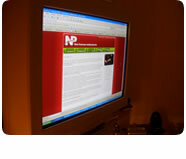 This website is the property of M. Nicolas PESTEL (aka Nouky) . Editorial management is ensured by Nicolas PESTEL. This whole website is liable to french and international legislation about copyright and intellectual property. All rights are reserved, including downloadable documents, and graphic elements. Copying the whole website or one of this site is not authorized and couldn't be diffused without prior written authorization of Nicolas PESTEL. In spite of a special attention to the website achievement and its regular updating, errors may appear into some documents. If you find any, please don't hesitate to contact Nicolas PESTEL, in order to rectify it. Every brand, trademark, etc. quoted or used on this website, including their format (text, graphic elements, etc.) are the exclusive property of their own owners. By communicationg with us on the website Nouky.fr, you're engaging yourself not to give us false or mistaken informations about you. In accordance to the January 6th 1978 french law about data processoring, files and liberties, informations processored by us are declared to the Commission Nationale de l'Informatique et des Libertés (C.N.I.L. - www.cnil.fr). Nouky.fr is allowed to keep, treat and use informations about you. Theses datas are submitted to an automatic processoring. This activity is strictly regulated : file has been declared to the Commission Nationale Informatique et Libertés . You're benefiting a permanent right to access, modify or clear all informations about you, according to european directives and french laws. If you want to exercise this right, please contact us. We guarantee that no personal data is collected without prior accordance of the visitor. Website powered to you in 0.0023s, with valid XHTML 1.0 Strict, CSS 2 and WCAG level AA · Printer friendly.